The visitor center stands on Henry Hill. 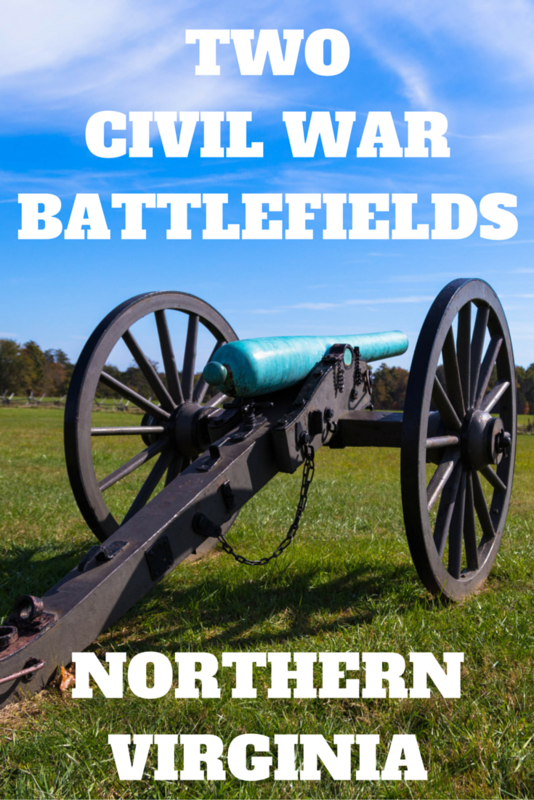 The east coast is riddled with Civil War battlefields, but for a Southern California couple, Civil War battlefields aren’t something we see every day. 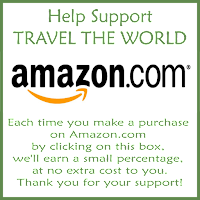 So how do you choose which Civil War battlefield to cross the country to visit? 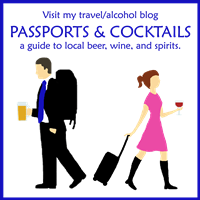 Gettysburg is probably the most popular Civil War battlefield for travelers to visit as it is the location of one of the most important battles and was the turning point for the Union. But Gettysburg isn’t your only choice. 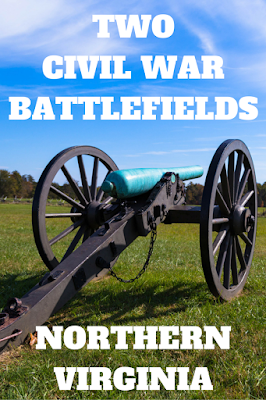 Northern Virginia has a Civil War battlefield that was the site of not just one, but two very important Civil War battles. 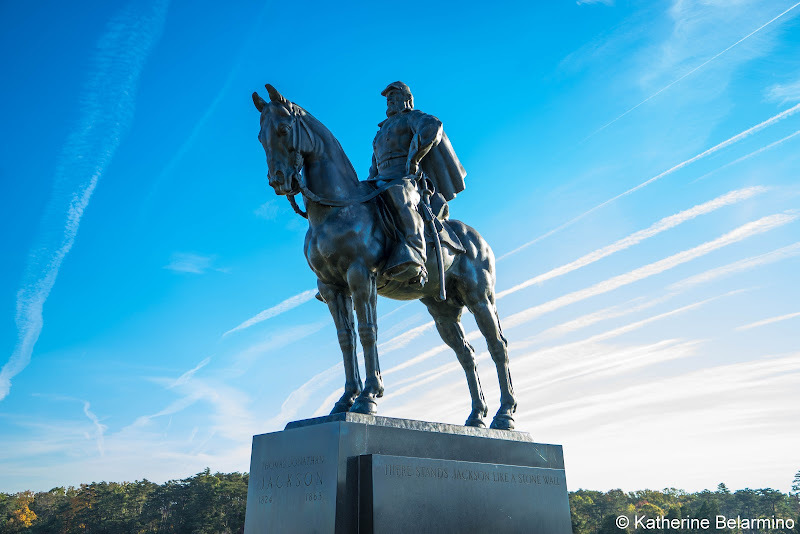 At the Manassas National Battlefield Park in Northern Virginia, you can learn about and explore the battlefields of these two important Civil War battles and also enjoy the natural beauty of this member of the National Park Service. 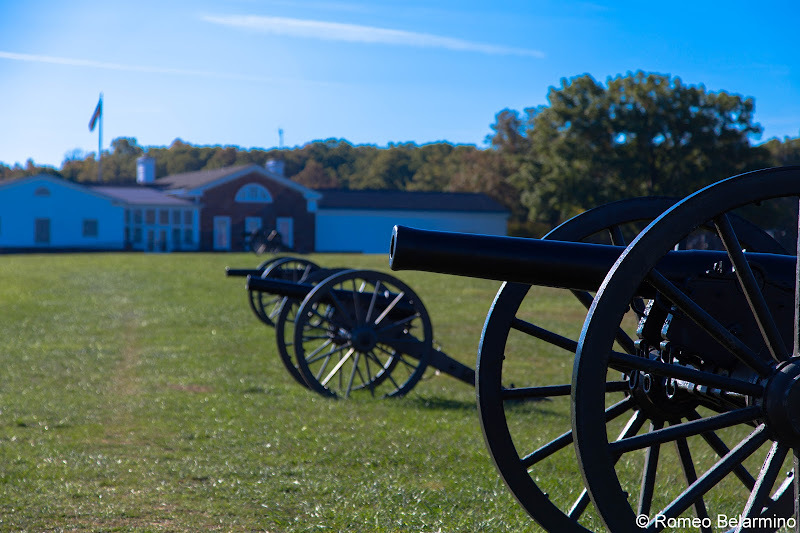 These two battlefields are also a conveniently short drive from Washington, D.C. The Civil War started on April 12, 1861, but the first major land battle of the Civil War occurred on July 21, 1861, in Northern Virginia. The Union forces called it the First Battle of Bull Run, but the Confederate forces knew it as the Battle of First Manassas. The Union’s drive to Richmond failed at the Battle of First Manassas and the Confederates scored a victory. Matthews Hill, where the Battle of First Manassas began. The first shot of First Manassas rang out from the Stone Bridge, but the battle started on Matthews Hill. The Union was sure this Civil War was going to be short-lived, so congressmen and citizens of Washington arrived at Matthews Hill along with the Union soldiers so they could picnic and watch the spectacle. Monument to General Bee, one of the first Generals killed in the Civil War. Another famous term coined on Henry Hill came about when the Confederates rushed through the tall grasses towards the Union forces, screaming the “rebel yell” as they came. The bloody battle was won by the Confederates and at the end of the day the fields were covered with the bodies of almost 900 dead. It was apparent the war would not be a quick and easy one. Henry House on Henry Hill. On Henry Hill is Henry House. 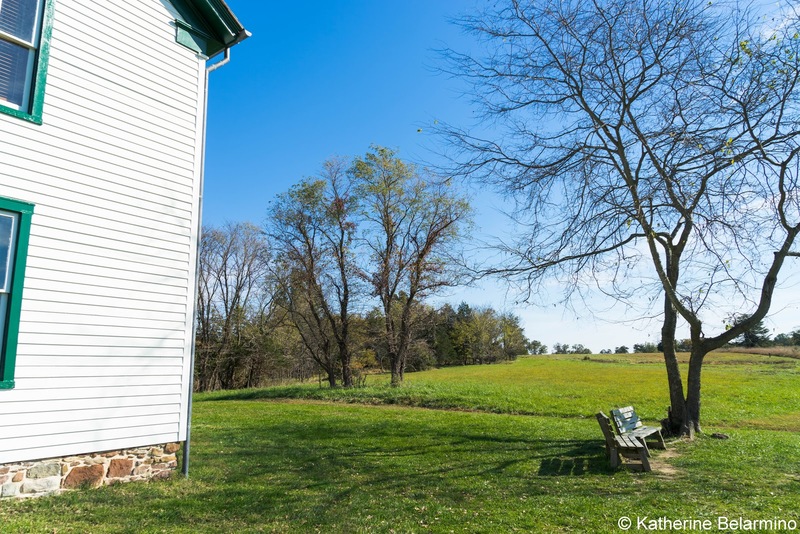 The original house was irreparably damaged during the Battle of First Manassas, so the house that currently stands was rebuilt in 1870, after the Civil War. The Henry family lived in the house and were actually in the house during the battle. Bullets started to pellet the house, so the family tried to leave, carrying their 84-year-old grandmother, Mrs. Judith Henry, out on a mattress. They got about 100 yards away from their house when they realized their plan wouldn’t work, so they went back into the house. The house was shot to pieces and Mrs. Henry was mortally wounded. Mrs. Henry is buried in the yard next to the house. One of the first monuments to the Civil War. Behind Henry House is one of the first monuments to the Civil War. The Memory of the Patriots who fell at Bull Run monument was erected by Union soldiers on June 11, 1865, two months after the war ended. During the restoration of the monument in 1975, it was determined that the four 200-pound artillery shells surrounding the monument were still live. They were sent off to be disarmed and most did not survive (one can be viewed in the visitor center). 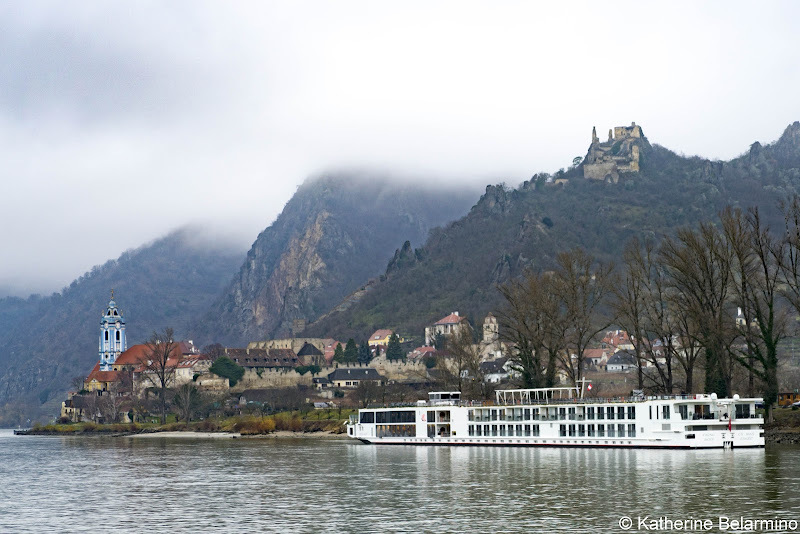 They were replaced with replicas that do not pose a threat to visitors. 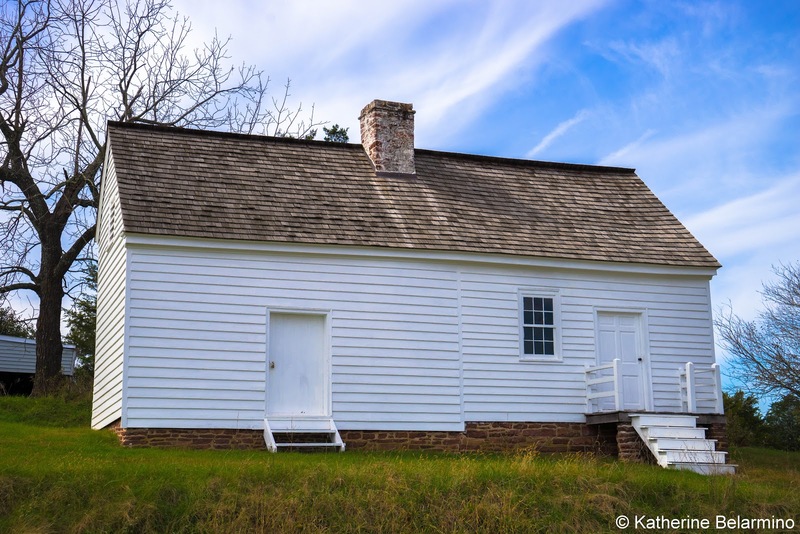 To learn more about the Battle of First Manassas, visit the Henry Hill Visitor Center, watch the 45-minute film, and join the guided Henry Hill Walking Tour. 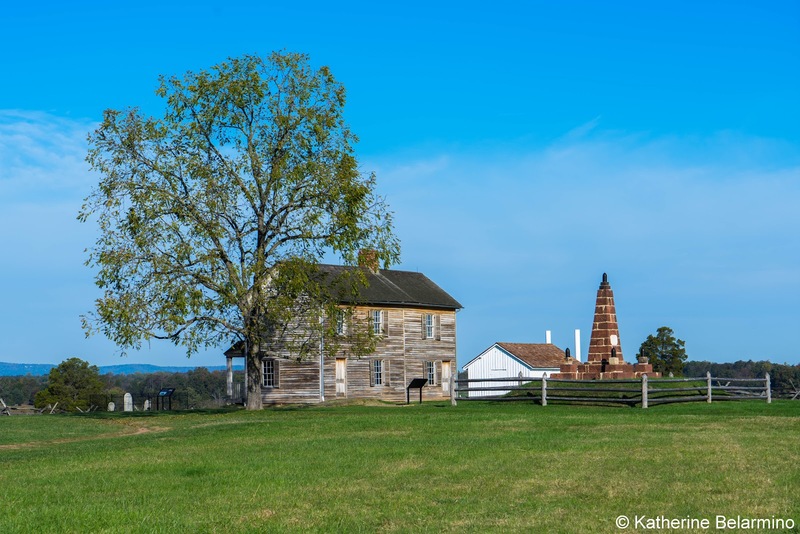 The Battle of Second Manassas, also known as the Second Battle of Bull Run and the Battle of Groveton, was five times larger than the Battle of First Manassas and it lasted three days. Stonewall Jackson formed a one-and-a-half-mile defensive line behind the Unfinished Railroad from the Brawner Farm to the Sudley United Methodist Church. General Robert E. Lee formed a second line that, along with Jackson’s line, created a jaw which slowly closed on the troops of Union General John Pope. Pope’s overconfidence resulted in a crushing defeat for the Union and the battle claimed 22,000 lives. The Confederate victory opened the way for Lee’s first invasion of the North. 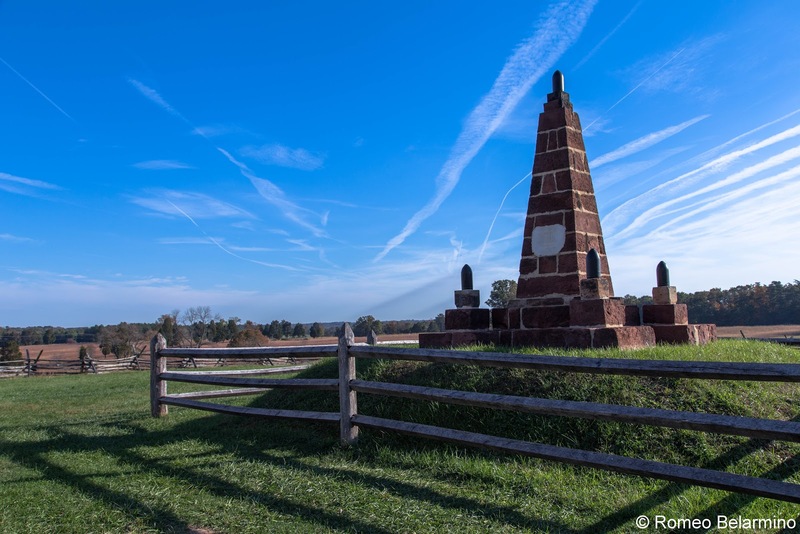 Manassas National Battlefield Park has created an 18-mile self-guided driving tour which visits 12 major sites of the Second Manassas battle. The 12 stops have parking lots, interpretive markers, and walking trails. The first stop on the driving tour is the Brawner Farm, which has been turned into an Interpretive Center. This is where the Battle of Second Manassas started when Stonewall Jackson concealed his troops just north of the farm. From March through November travelers can enter the Brawner Farm Interpretive Center and view the exhibits and the fiber-optic battle map. 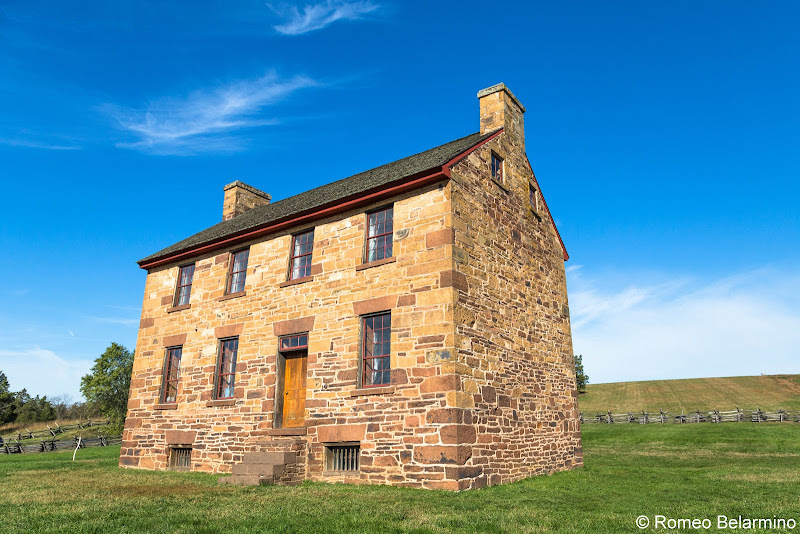 The third stop on the Second Manassas driving tour is the Stone House. Stone House was built in 1848 as a tavern. During Second Manassas, it was used as a field hospital by the Union. When the Union retreated, they couldn’t take all their wounded with them, so the Union doctors stayed behind. There are five artillery shells embedded in the house. However, these are not remnants of the war. Rather, they were used to patch holes. Take a look at the north-east corner of the house. You will see grooves in the rock where the family sharpened their kitchen knives. Stop six is the Unfinished Railroad, the center of Stonewall Jackson’s line. 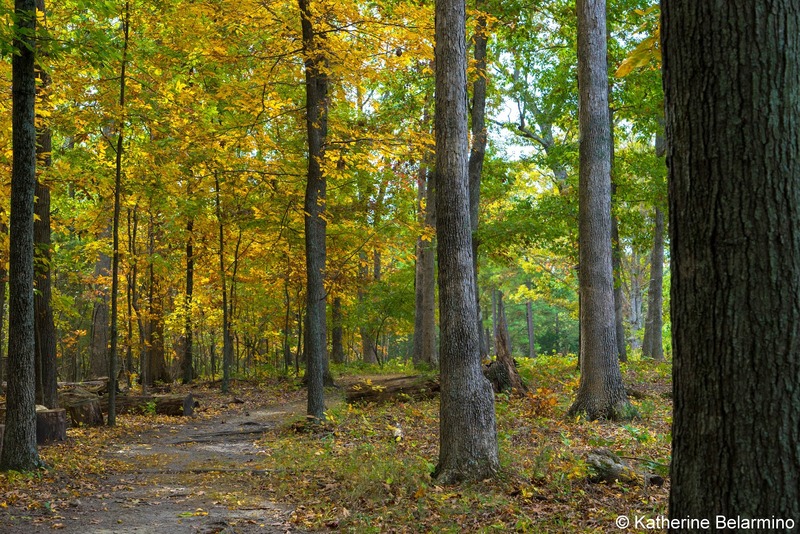 There is a particularly beautiful loop trail at this stop which travels through the woods. It is especially pretty in the fall when the leaves begin to change. Interpretive markers are scattered along the trail. The trail is mostly dirt but also has short sections of boardwalk. Dogan House, the last remains of the village of Groveton. The eighth stop of the drive is Groveton. All that remains of this village is one small frame house, Dogan House. The Union assault was broken in the fields of the Dogan farm. Across the street from Dogan House is the Groveton Confederate Cemetery, which was established in 1869. While the Union dead were eventually buried in Arlington Cemetery, the Confederate dead were buried in trench graves. 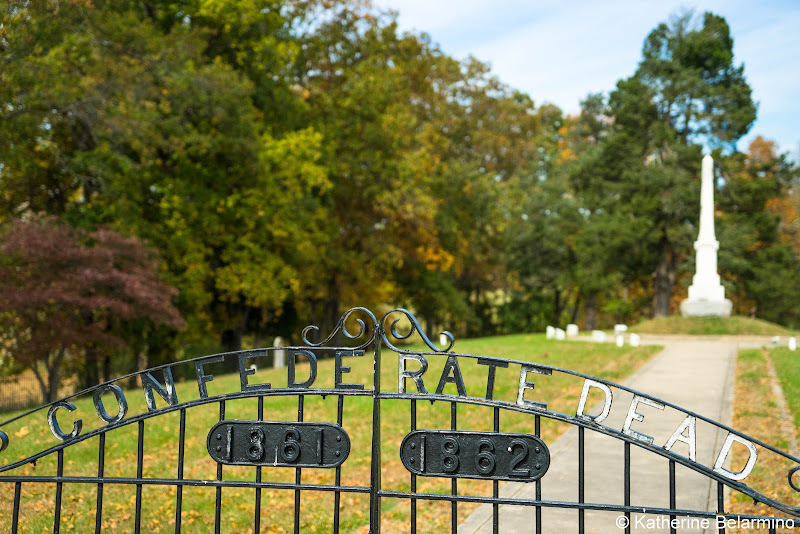 The Confederate Dead Cemetery contains the bodies of approximately 500 Confederate soldiers, most of whom are unidentified. The driving tour ends at Stone Bridge. Stone Bridge was built in 1825, but what remains is not all original as it was destroyed during the Civil War. 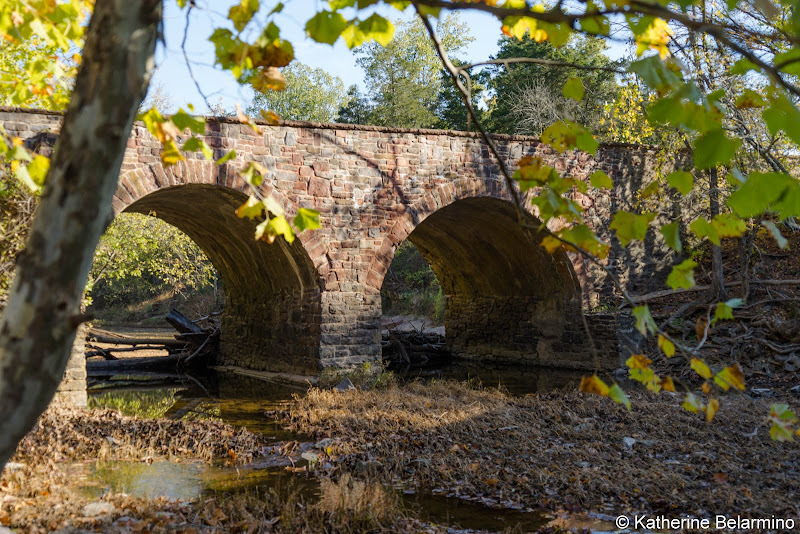 Stone Bridge was the site of the first shot of First Manassas and is where the defeated Union army withdrew from Second Manassas, opening the way for the South’s first invasion of the North. To learn more about the Battle of Second Manassas, visit the Brawner Farm Interpretive Center and join the guided Brawner Farm Walking Tour. 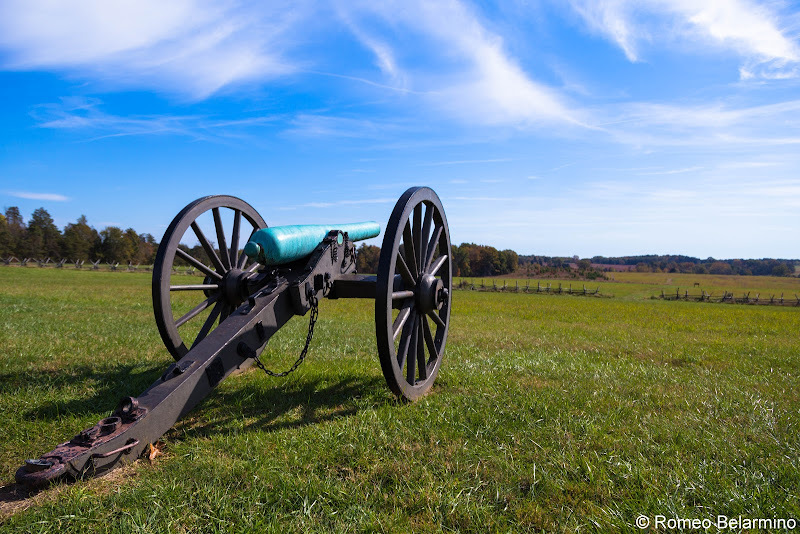 The National Park Service manages over 70 parks related to Civil War history, many with important battlefields. 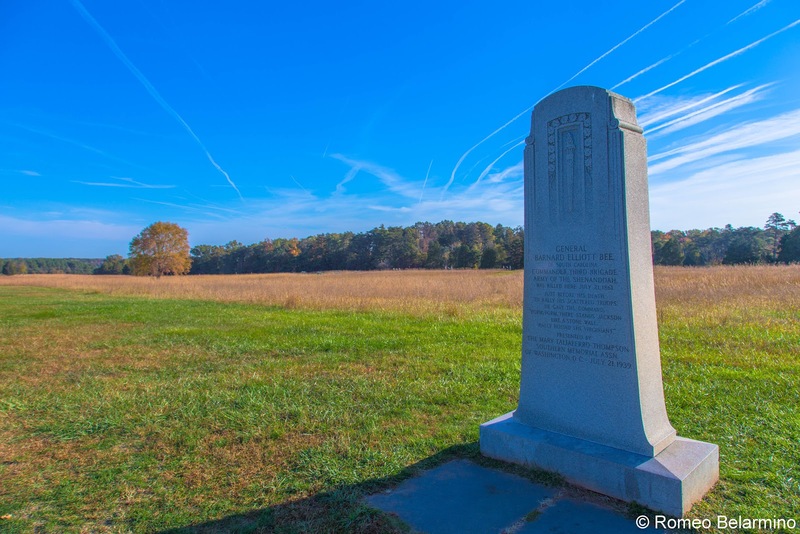 If you’re traveling through Northern Virginia, plan on dedicating half a day to Manassas National Battlefield Park, which offers travelers the ability to visit two important Civil War battlefields in one.